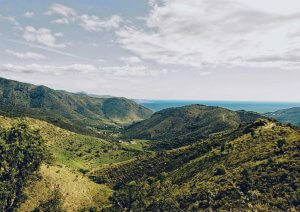 It is on the flanks of the Empordà, an exquisite corner of Catalonia, where Spain splashes up the side of the Pyrenees and rolls into the azure waters of the Mediterranean, that I find myself slipping into a soporific post-paella siesta with Bacchus on Bikes founders, ex-British Bobsleigh Olympian, Tony Wallington OBE, young adventurer and hispanophile, Gareth Davies, and their Catalan counterpart and head chef/sommelier, Josep Maria Codina. There’s a clue to the ethos of this cycling tour in the organisers’ name. Bacchus, a curious character from the mists of Greco-Roman mythology, is the god of vines, winemaking and revelry. 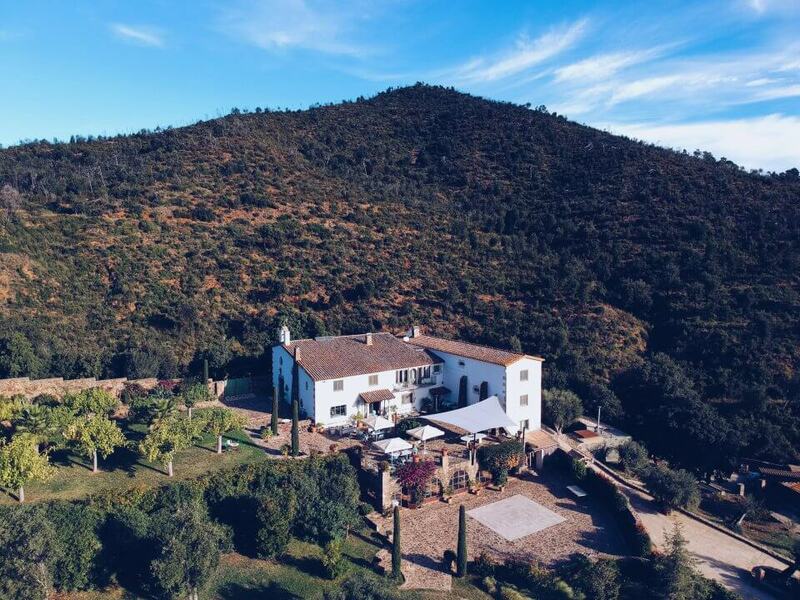 My hosts have put him on a bike and come up with a concept that perfectly combines exercise and epicurean experiences, set in the bucolic and (at times literally) breath-taking landscapes of Catalan wine country. Josep Maria’s passion and knowledge of this north-eastern knuckle of Spain – in particular, the family-run vineyards of Alt & Baix Empordà, where the majority of their cycling adventures are based – has me hooked. Only an hour and a half drive north of Barcelona, and considerably less from medieval Girona (subject to braving the Ryanair flight from Luton or Stansted), the Empordà is relatively unknown given its gastronomic, vinicultural and olive oil producing heritage. Wine and olive oil were first introduced here over 2,500 years ago when the Greeks and Romans inhabited the area. My culinary adventure on two wheels begins hidden in the contours of the undulating Garrotxa National Park and weaves its way to the Costa Brava coastline over the course of four days. We are staying in a restored medieval farmhouse tonight with wonderful landlady, Monica. 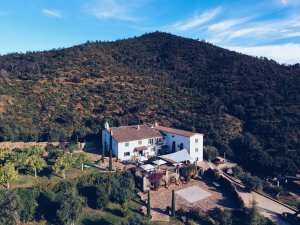 She has been longing to give us our first taste of Catalonia since we arrived – a mouth-watering spread of homegrown produce accompanied by an impressive selection of organic Empordà wines. I am excited to learn that tomorrow I will be cycling to the cellar of my favourite claret yet – Mas Ponsjoan‘s 2012 vintage blend of tempranillo, monastrell and jaqué grape varietals – though my mind wonders what sort of condition I’ll be in when I get there. Of course, I need not worry. My knees and I have opted for the electric bike and it is a sage choice indeed, as I am to gratefully discover on the spectacular Ardenya Massif coastal route, featured in a Spanish stage of the Tour de France in 2009. From charming overnight stays in idyllic locations, to grape picking and tasting with local winemakers at Mas Ponsjoan and a special 7-course tasting menu in the quaint fishing town of Cadaques, each day brings something new and extraordinary. 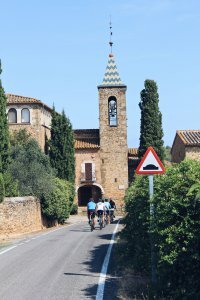 It is the meticulously crafted concoction of experiences reflecting real Catalan life and the enthusiasm of the local characters we meet – not forgetting the mouth-watering cuisine, excellent wine, and good-natured camaraderie of cycle touring – which is enthralling. I wouldn’t hesitate to go back. John Deere travelled as a guest of Bacchus on Bikes, which offers private and group cycling and wine tours across Spain. This article first appeared in La Revista, published by the British Spanish Society.